When you have revamped your whole diet to being a lot healthier, it can sometimes be a chore to find the best ingredients to consume. Not to mention, ridiculously expensive. This is where Larabar comes in. They cost me about $1 and some change. They fill me up easily and they are full of all natural and minimal ingredients that you can pronounce. 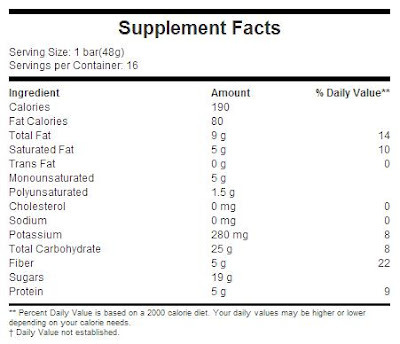 I love that they sweeten their bars with naturally occurring sugars, such as with fruits like figs and cherries. Uber bars are sweetened with honey added, but their regular, first line only sweetens with fruits. They also have a line based on my favorite ingredient in the world, chocolate, JocaLat. All lines are sans any processed ingredients, gluten free, soy free, vegan, 90% raw, kosher, dairy free, non-GMO and organic. All that I have tried have been absolutely yummy. I have tried a few before, so I knew I was in for a treat getting to try more. 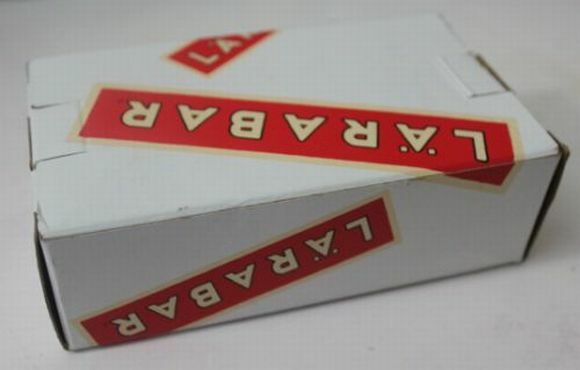 Larabars kindly provided me with 4 of their bars to review. I chose the Uber and JocaLat bars, as they were new to me. The Uber bars are my favorite and I have since tried the banana flavor and really love it. This line is so good. The JocaLat bars were good, not as sweet, but still satisfying because of all the chocolate. 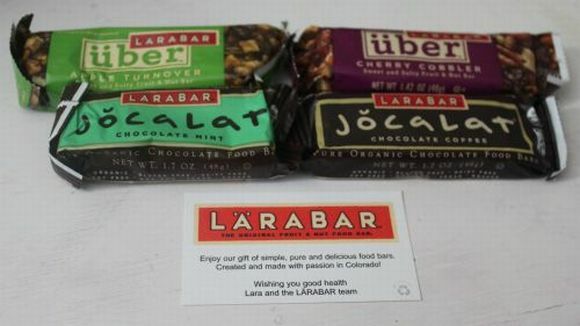 Another thing I love about Larabar is that they use all organic fair trade chocolate in their bars. I'm a firm believe in supporting fair trade, as it always gives back to the people who work hard to supply us with fresh organic ingredients. Just how healthy are they? See for yourself. I wasn't stretching the truth about no processed and minimal ingredients. Fiber and protein packed, low calories, higher fat content but in the good stuff you want fats in. These bars make excellent snacks before a workout and even meal replacements on occasion. Try one for desert too. They're so filling and satisfying when you crave something sweet! I am a big fan of this bar and I like very few of any health bars. I will continue to try new flavors and types and I'm always interested in what else they come out with. If you want to learn more, check them out on Facebook or Twitter! I would love to try some of the JocoLat flavors. YUM!